Sasha Says: Celebrating Southern: Nails! 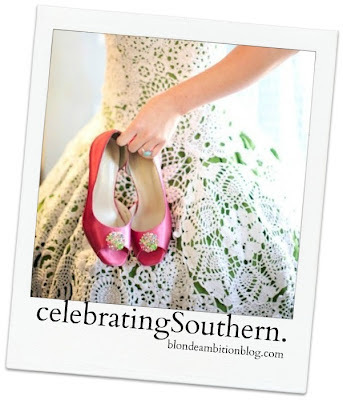 Today's I'm linking up with Leslie from A Blonde Ambition to tell you what I think makes a southern girl. I don't think I've ever seen my mom's nails without polish on them. Granted, it's been the same shade for as long as I can remember (Revlon Geranium followed by Mango Mango, and when both were discontinued, she found a dupe by Petites at Walmart), but they are ALWAYS painted and chic. And if you know me, you know mine are always painted too. Well, except during VBS.... last week it killed me that I didn't have time to do my every-other-night manis since we were getting home so late from church every night. If keeping your nails painted sounds like too much time and effort, let me share my nail routine with you. As a working mom of two, I understand how hard it can be to find the time to pamper yourself with things like manicures. But over the years, I've developed a method that allows me to do a home mani in a short amount of time right before I go to bed. The secret is the fast-dry topcoat- my nails are completely dry by the time I hit the sack, and I don't get sheet marks at all! Start to finish, a mani takes me less than 20 minutes. Who doesn't have 20 minutes to pamper themselves? 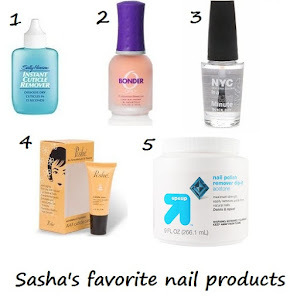 So without further ado, here are my favorite nail products, shown in order of use for the perfect salon-quality mani. For all products, I start with the pinkie of one hand and continue on to the other hand before I move to the next step. And there's no need to let the coats dry in between steps- just start with the same nail each step. 1. Sally Hanson Instant Cuticle Remover. I apply this all around my cuticles, wait a bit (you can wait longer that it says), then use the thumbnail of my opposite hand to push back/scrape the cuticles. I typically do this twice. 3. Orly Bonder. Apply one coat. This rubberized basecoat overrides any oily residue on your nails and gives your polish something to stick to. Key to a long-lasting mani. 4. Sally Hanson Nailgrowth Miracle in the gold bottle. Love this as a basecoat. Watch for CVS/Walgreens to have their BOGO or BOGO half off on Sally Hanson products and stock up. 5. 2 coats of color. 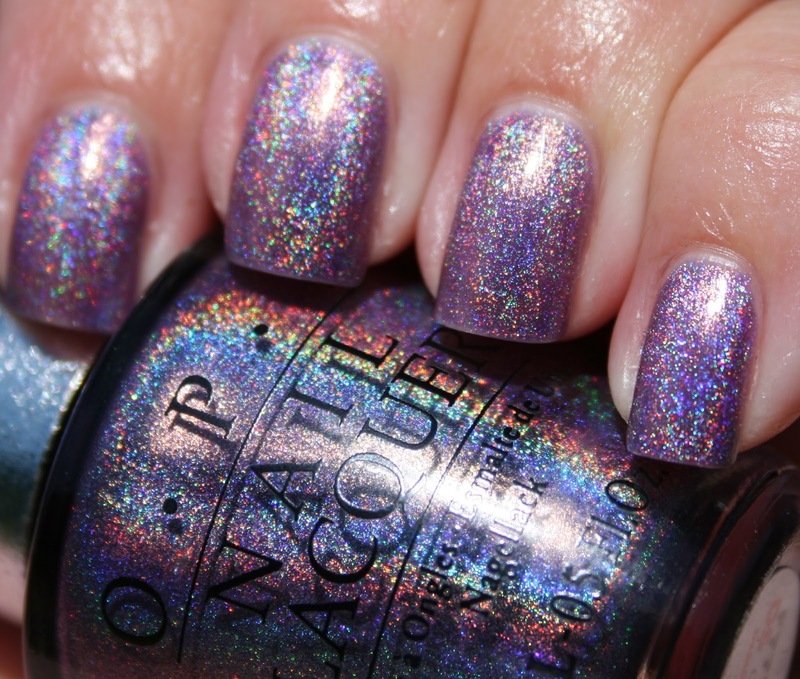 OPI polish is one of my favorite brands. Tip for newbies: Try a sheer or light color as you are practicing your painting skills. They are certainly more forgiving than a vampy dark shade! 7. Creative Nail Design Cuticle Eraser. Keeping your cuticles neat and clean is one of the keys to making your manicure last longer. This product is fabulous and I massage this into my cuticles a few times a day to prevent hangnails and prevent cuticle buildup. Did you know I love nail polish so much that I've got a separate blog just for my nail polish review and pictures? Visit me at http://www.manicuremommas.com/ if you like nail polish as much as I do! Stopping by from Leslie's blog and I have to say you make this former manicurist SO proud with your nail polish choices!!! I swear by Bonder and Seche Vite and will not use anything else!!! Can't wait to read more! I might have to pin this. I love painting my nails, but I have to stick to light shades because it looks like a three year old panted them! Hi Kelly! I'm totally a wannabe-manicurist! I am glad you like my choices! ty- definitely give it a try! Try a light or sheer shade to get started and practice. You'll be a pro in no time! Stopping by from a Blonde Ambition! 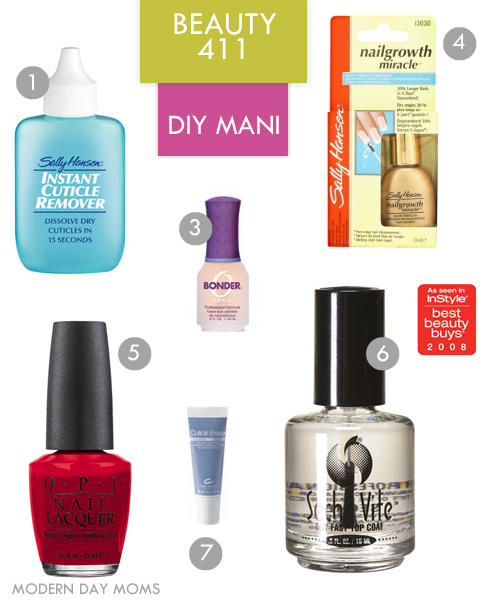 My nail routine is not nearly as involved as yours, but you make it sound so easy! I'm thinking I totally need to try that Cuticle Eraser! Casey- yes yes yes! Cuticle care makes a HUGE difference. Another one I like is Poshe Cuticle Care. Wow, love reading your nail tips! I used to pay $30 every 2 weeks for shellac manicures (i do still splurge on $25 pedis) but the shellac manicure really didn't last much more than one week before one or two nails were peeling...anyway, where do you buy your products? Besides CVS...do i have to go to a beauty supply store for some? Some CVS stores carries Orly and Seche Vite..... But Sally's for sure does. you can also try a new topcoat I love that I got at CVS for just $2- NYC Color Grand Central Station. It is almost as good as Seche Vite. Most target stores carry Seche Vite as well. Your blog reminded me that my Grandma has always had the same color on her nails! Sarah- I think it's totally a Southern Woman thing... having a "signature" nail color! I am trying to find Creative Nail Design's Cuticle Eraser. Where have you found it? Thanks! Gray Cardigan- I typically purchase CND Cuticle Eraser at Ulta.